Le Blog de Frivole: Split Rings... lots of split rings! 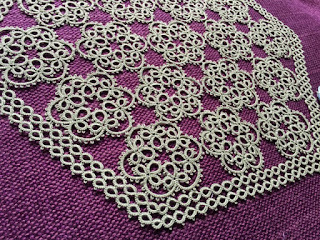 I hope you won't get bored with this piece as you will be seeing it many times before I get to the end! I have finally completed the second round of split rings. I actually don't mind split rings at all... but I must admit that there is a definite lack of variety when you have to do so many in a row!! And guess what comes next in the pattern? Yes, another round of split rings! But it will get more interesting after that. 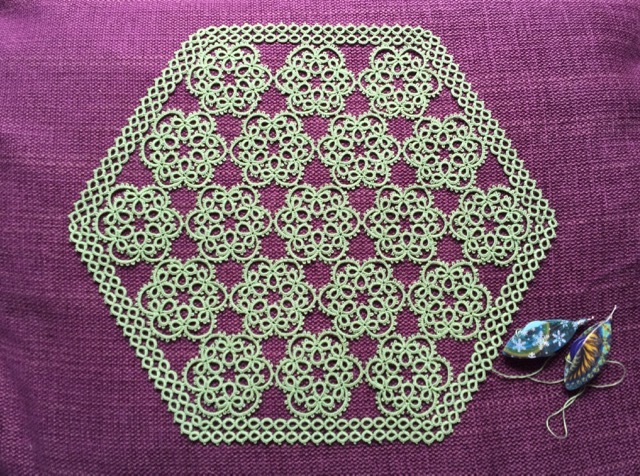 I can't wait to get started on the round after the third row of split rings where there will be lots more going on. I really like the shape of the six sides. It will be a bit fiddly to start off as there will be quite a bit of cutting and tying for the smaller, inside parts until you get to go back to full rounds that go all the way around the whole piece. I get what you are saying and often wonder if people are interested at all in me showing them another row of the same thing over and over. But on the other end of it as the viewer I really don't mind seeing grow it is very beautiful and I do love this shape and you have done so well it great! 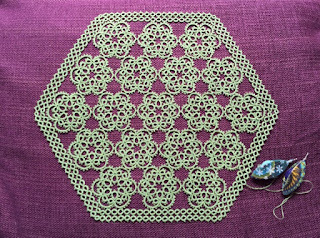 It is one of the reasons I add colour - to bring in some variety and keep me motivated ;-D Lovely tatting - I love hexagons ! I don't get bored- it's so fun to see progress. Almost as much fun as making progress myself! What? 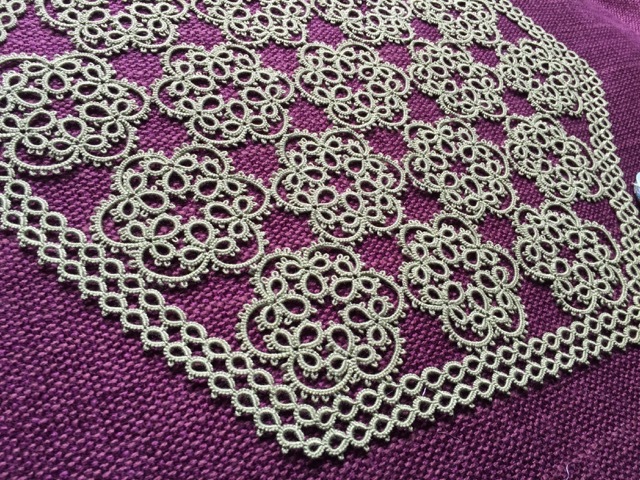 Get bored with seeing your tatting? Not a chance! No, not bored, happy to admire it as often as you're willing to show it! I enjoy seeing any amount of progress. I also wonder if people get bored reading about my incremental tatting or my Ice Drops, but in the end it doesn't matter. My blog is a record to keep me motivated, and if I happen to bring a little enjoyment to others, all the better!